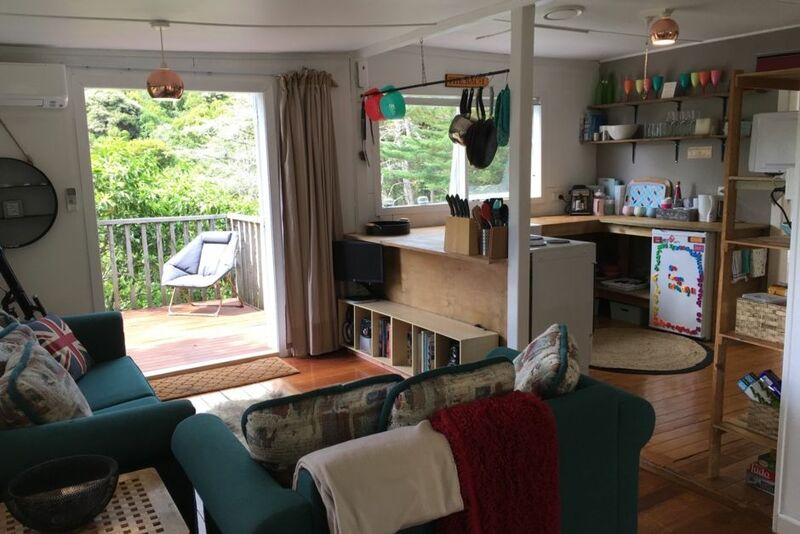 This gem of a bach is centrally located in a private quite street only, 16 minutes walk to Little Oneroa Beach and stores. This tradional bach with origional floors has been respectfully modernised with modern decor and amenities. With two double bedrooms, one with french doors out to the deck, its a great couple escape for couples, friends or a family. There is a bus stop only three minutes walk away if you do want to venture around the island. Great secluded spot just up from Little Oneroa. Award-winning vineyards, restaurants and cafe. Beautiful beaches and scenic walks.